The following article is a continuation to the “Funding for art resources draws a blank” piece by Jacob Wentz. The previous article can be accessed online at ncfcatalyst.com. Interest in art as an AOC continues to increase. 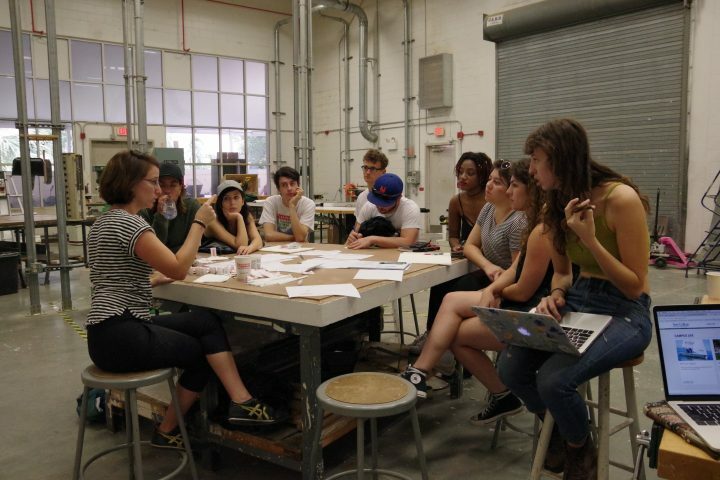 Students are concerned that the current organization of the art department, in addition to the amount of resources received, will fail to support the projected growth of students. As hopeful faculty hires provide presentations on Chilean protests and science labs are built from the ground up, the liberal arts education offered here is expanding. With the NCF Growth Plan and Mellon Grant both underway, plans for the Natural and Social Sciences are being drawn up. However, when it comes to the Art Area of Concentration (AOC) offered here, once referred to as having “an embarrassment of riches,” plans for faculty expansion are drawing a blank. Associate Professor of Art, Kim Anderson, submitted a rationale for a new hire at the end of the 2016-7 school year in Digital Printmaking. This new hire would have assisted the current two full time faculty in the Art division. The rationale was, unfortunately, not accepted. According to Feldman, all searches are underway. However, there are no current faculty searches underway for the Fine Arts program. Anderson is one of two full time art faculty at New College, along with Professor Samantha Burns. Anderson teaches Painting I, Drawing I, Drawing II and Painting II. Burns teaches Sculpture I and II. The institution financed an enhancement course allowing there to be one faculty per semester to teach courses such as Printmaking or Digital Photography. In comparison, the University of Florida (UF), another public institution located in Florida, has a total of 50 faculty in their Art and Art History program, comprised of both adjunct and full time professors. Other liberal arts college such as Earlham College, Pomona College and Hampshire College possessed nine, seven and eight faculty respectively. There is a technology based arts course called Digital Arts for the Artists in which some students have had to bring their own laptops due to the lack of technology. This sentiment was shared by Feldman. In order to obtain an Area of Concentration (AOC) in Art, students are required to take courses nine courses before their fifth contract. This includes Painting, Drawing and Sculpture at the beginning and intermediate level, as well as two Art History courses and one Independent Study Project (ISP) involving Art. Upon finishing their fifth contract, Art students are expected to complete two upper level art courses, one Art History course, one ISP involving Studio Art, a Critical Theory course, as well as a Senior Art Seminar, thesis tutorials and an undergraduate thesis. The $50 Lab Fee for the Painting I course covers the cost of items that are able to be bulk ordered by professors for a cheaper price. Anderson estimates that the out of cost price for a student outside of the Lab Fee is $150 for this course. Anderson explains these out of pocket costs significantly decrease once a student has taken classes at the intermediate level, such as Painting II. Textbooks for courses in the Natural or Social Sciences can equate to hundreds of dollars out of pocket per class. Faculty can chose to keep textbooks on reserve so that a student may check them out at the library. Students can also rent or purchase books secondhand by various distributors from Amazon to Chegg. In comparison, the Introduction to Entomology course requires An Introduction to Biology and Insectology textbook that can be purchased for $128.20 used at the New College bookstore. The textbook for the Chemistry and Environment course requires a Chemistry in Context textbook that can be purchased used for $176.75. According to Anderson, books are not assigned to art classes to keep up with the cost of materials. 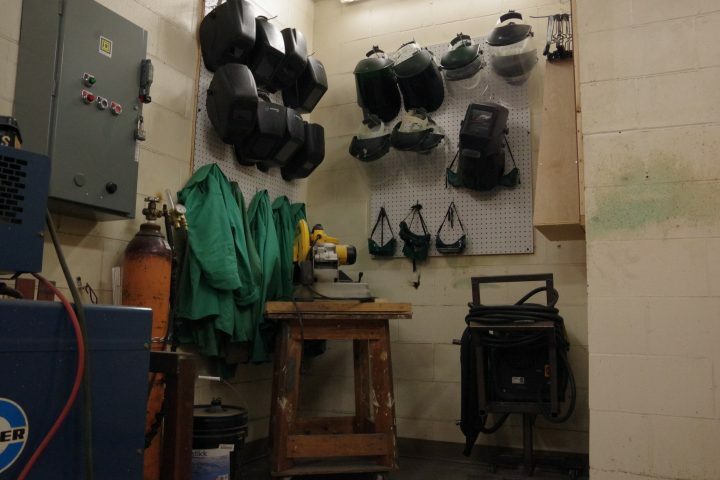 Anderson recommends that students obtain materials either on sale or secondhand, as well as not to take more than two art classes per semester. The Council of Academic Affairs (CAA), the Student Research and Travel Grant (SRTG) and the Mellon Grant are sources for academic funding on campus. The Women’s Contemporary Art Organization (WCAO) awards a $1,000 grant to a regional student from one of the four area colleges. The previous year, the organization awarded two New College students grants. 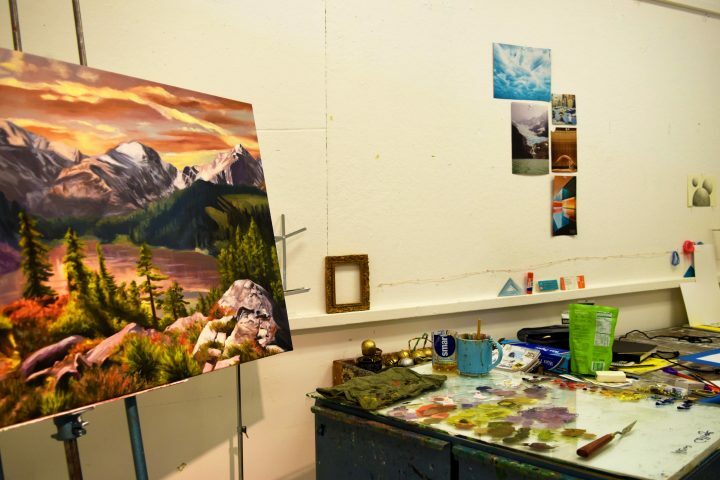 Thesis student Rebecca “Becca” Miles started pursuing an area of concentration (AOC) in Art during her fourth semester. Miles has attended two Council of Academic Affairs (CAA) meetings this semester in order to apply for funding for technology equipment for her thesis. Despite having an outdated, wobbly taboret table, thesis student Rebecca Miles creates impressive works of art in her studio space. 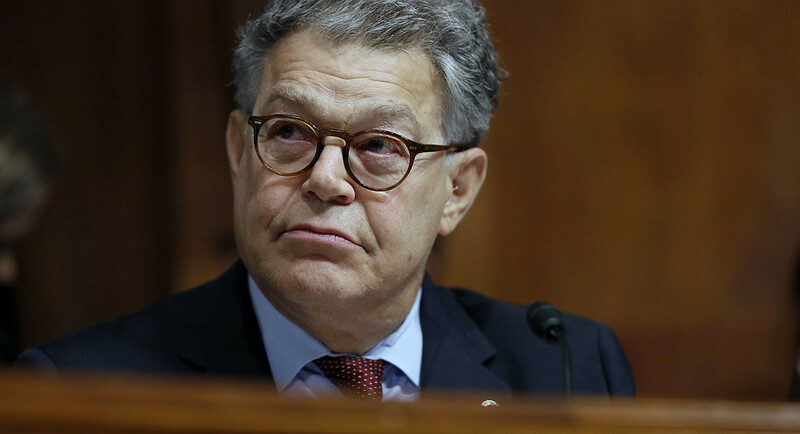 Miles requested funding for items including a headset, a software program known as Tilt Brush by Google, a mobile headset and a computer totalling over $1,000 that would be able to have parts replaced for longevity purposes. She requested over $2,000 in funding. The CAA allocated enough funds for a monitor, sensor and a mobile headset. Miles did not apply to any other external sources for funding. She opted to instead have an uncle, who works for Google, assist her with obtaining the rest of the materials. It was important for Miles to request funding for a computer so that the appropriate software for VR technology could specifically remain at the Isermann Gallery, where it could be used for other technology related art pieces. 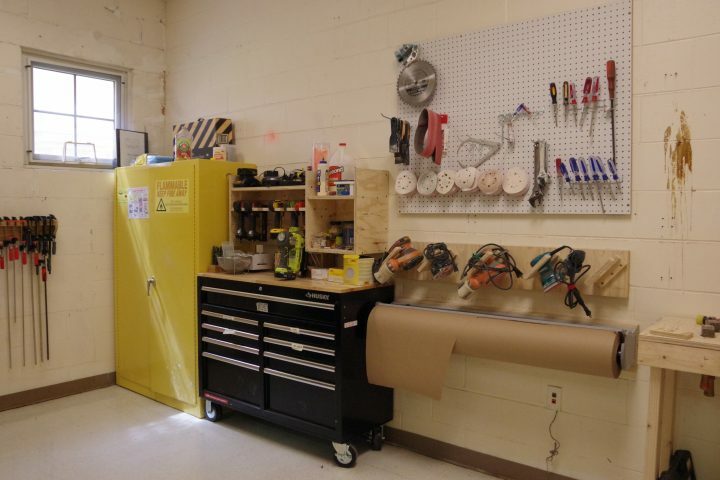 Zach Gilliland, a former Humanities Assistant and Studio Technician, single-handedly constructed shelves and organizational units for the sculpture lab. “It’s like his legacy now,” Miles said. New College’s proximity to the private arts institution, Ringling College of Art and Design (RCAD) as well as the John and Mable Ringling Museum of Art can be a resource for art students here. According to RCAD’s website, the cost of attendance was $59,160 for the 2017-8 academic year. This amount covers tuition, fees and room and board. An additional Fine Arts Major Fee is $260. The Florida Resident Access Grant can cover up to $3,000 over that fee. In comparison, the cost of attendance for a Florida resident at the New College of Florida is $16,180, a fraction of the cost at RCAD. Due to being a public honors college, students with Florida Pre Paid or Bright Futures, for example, are eligible to have their tuition or housing covered. 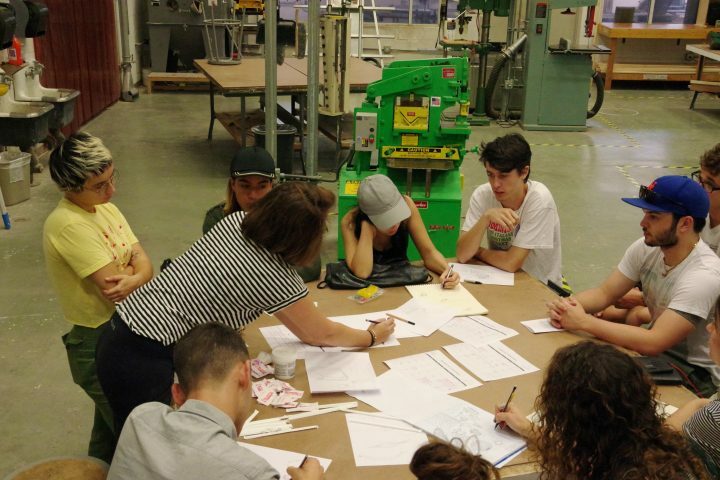 Additionally, the Cross College Alliance, once referred to as the consortium, allows New College students to take classes, such as those in the fine arts, at RCAD, the State College of Florida (SCF) or the University of South Florida in Sarasota-Manatee (USF-SM). This year, New College students can take courses at RCAD from Illustration to Sketchbook Drawing to Immersive Media Studio. “What a liberal arts education does is allows students to view problems, issues and situations from various perspectives,” Feldman said. “When you are creating a well rounded or thoughtful person, the more ways that they can look at a problem, or take the perspective of another person, the more empowered they are to make other decisions. Any issue concerning resources for the Art AOC is seen as an issue not just for those students with that AOC, but for any student pursuing a liberal arts education.